This article was first published by Owen Caterer on LinkedIn on Aug. 25th. Overseas pundits often get China badly wrong. For China based asset managers such as ourselves, we usually ignore them since there are too many, but the panic this week forces our attention. The narrative seems attractive. The stock market is indeed plunging in China, the RMB has moved and demand looks soft. What does it mean? Surely something bad is coming. Something big and interesting is happening in China at the moment, both economically and politically, and this is being ignored by the markets which are fixated on the narrative of a China communist/debt collapse. They’re missing the huge change happening in China that is happening right now. The dominant narrative of the communist collapse. All economic forecasters are human and they all suffer from a cognitive bias that sees patterns where there are none. China is the new USSR collapse story. The story goes that centrally controlled socialist systems suffer from the problems of hugely inefficient allocation of capital that usually leads to cosseted industries, inefficiency and theft, reliance on imports, balance of payments problems and foreign debt. Does that sound like China to you? China has huge exports, massive foreign currency reserves, and a huge and growing private sector in what is a free-wheeling economy in many ways that can produce companies like Alibaba, Tencent and Xiaomi. Yes there are problems and state owned companies and the financial system in particular are badly in need of reform. But the fundamental truth is that China is not Russia and despite the huge changes it is making, it is not on the verge of collapse. The secondary narrative of overwhelming debt. Since the financial crisis, economic and financial journalists, like the fallible humans they are, are looking for the next “debt binge led collapse” story. Humans are primed to look for patterns and China’s debt looks like the American version. China has debt problems, that much is true, but it has the means, the ability and the fortitude to address them. The Chinese financial system is also very very different to overseas systems and using overseas models here is not usually workable. But surely the China stock market wouldn’t be falling if all was well, would it? The stock market collapse is good news. All markets are said to be gambling dens, but the Chinese ones are more casino like than most. Why? Until just this week, in a little noticed move, the stock market was finally made available to Chinese pension funds which were previously limited to bonds and cash. This means that the China market has had practically no adult supervision of professional investors. Just retail “investors” who use strategies that more closely resemble an afternoon at the race-course. This leads to all sorts of nonsense decisions and the absence of value investors to provide liquidity and support in a collapse. Add to that the practical inability to short the market (and we know, we have tried), then you get a market that gets out of control more often than not. The Chinese market bears zero reflection of the real economy as we have already discussed on a previous post. 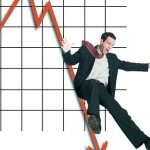 The falls of this week reflect the government belatedly letting the market decide without playing the role of savior. That’s good news. Debt is what you owe other people. 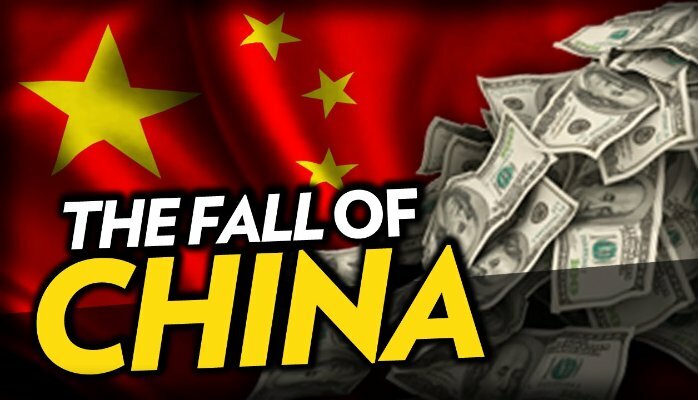 Much of the gloomy predictions for China are focused on the high levels of debt from government, particularly local governments and state owned enterprises radiating via falling dominos taking down the banking system and asset values and government finances with it. It’s based on a grain of truth since local governments here do owe a lot for poor investments. It’s a good theory but it ignores the primary fact that it is a closed system. Local government debt, even “off-balance-sheet” debt, is primarily owned or backed by a state-owned company somewhere like a bank or a trust company. Most of these are backed by the central government. Ownership of debt by private individuals and overseas investors is tiny by comparison. The Chinese government owned banking system has a market share of 98.2% of banking assets in China. All foreign owned banks combined have less than 2%. It is also illegal for foreign asset managers to own Chinese central government bonds. So who is really going to call on these debts? Furthermore, the central government has massive financial resources (for example $3 trillion USD in foreign currency reserves not including domestic resources) and the ability to print endless money to recapitalize banks without mentioning it to anyone. They probably did it in the 1990’s already. Yes, this system diverts huge resources, hurts the environment and the government sees it as a problem to fix, but it is not going to bring China into an economic collapse. The challenges and limitations of the system however have been apparent for a while and it is here where the real changes are being made. The present administration is very different to the previous one. The strength and certainty of Xi Jinping in many areas is apparent, but the one thing that is noticeable is the loosening of rules and restrictions in the financial area. 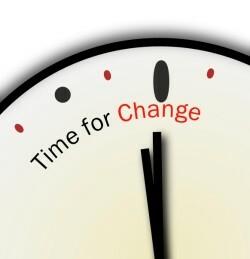 Reform is badly needed, and it is happening more quickly than is commonly understood. It is not the ‘big-bang’ reforms of the UK 1980’s. This is Chinese style “feeling out the stones as you cross the river” but the changes are frequent and real. The government has opened FTZ for financial services, introduced systems for selling overseas hedge funds, increased quotas to foreign investors for the Chinese markets, started experimenting with interest rate liberalization, given online companies like Alibaba and Tencent banking license. Funds can be bought and sold through your mobile phone and helping the financial product distribution system leap-frog from the past to the future. We could go on. The RMB revaluation is a sign of weakness, but also change. The markets are right to a degree; the economy is soft. The Chinese government allowed the RMB to follow its market price for a few days. This had the benefit of giving some breathing room to exporters but it also put the market on notice that changes are ahead. Businesses and banks should hedge their exposure. It was also very soon after the IMF delayed the RMB as being a world reserve currency due to its inconvertibility. The government intends for the RMB to become fully convertible and floating the currency was a step on that path. It wasn’t a sign of an economy on the edge of a precipice. Malls are still full of people, staff are still asking for pay rises and leaving if they don’t get them. It is hard and expensive to hire good staff. Restaurants seems full and the Apple store is still pumping out the sales. Our luxury apartment complex was empty over the summer because everyone was on an overseas holidays. Apartment rents continue to rise annoyingly fast. Our contacts throughout China are reporting mixed results from a variety of industries, rather than universal rapid growth, but is that so bad? Growth of 4-5% is not a disaster. The Chinese economy has grown so fast for so long that it is now growing off a high base as the second largest economy in the world. Growth of 5% is almost like adding a Korea or a Taiwan sized economy every year to a population whose workforce has already peaked. The deceleration might scare some people, but a disaster it is not. China is slowing on purpose, allowing the market and the real economy to make decisions. The government should be applauded for its resolve in this area since these reforms, if continued, will truly lead to China overcoming its weaknesses and stepping fully formed onto the global economic stage. The potential of that is hard to overstate. The panic of overseas markets seems massively overdone. Are we the only ones who think it ironic that market based reform of the Chinese system leads to a crisis of confidence in the capitalist markets?